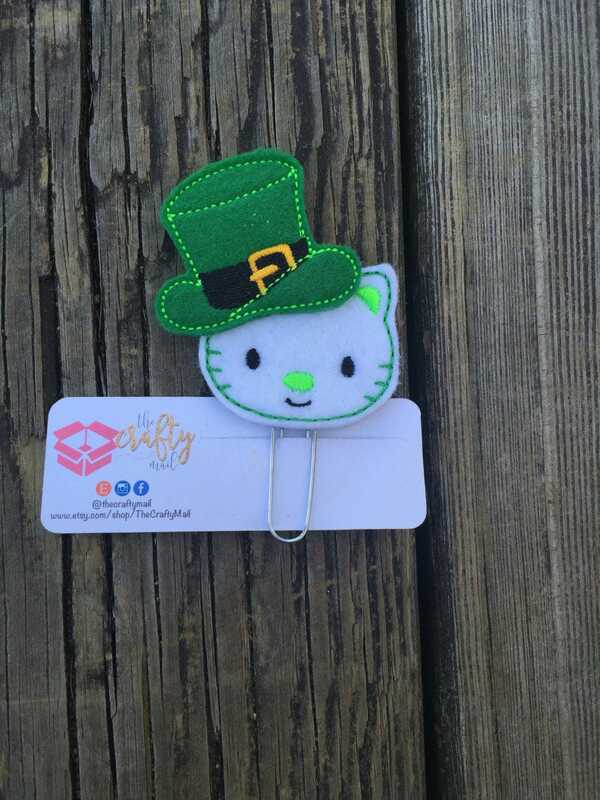 Large paper clip with St. Patrick kitty embellishment. Love my cute St. Patricks day planner clip. Made well. Happy with my purchase! Love the cute clip. Can't wait to use them. Thanks.